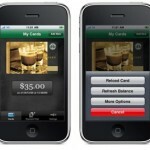 Starbucks is giving you an extra $5 when you reload your ‘card’ by using the Starbucks app. 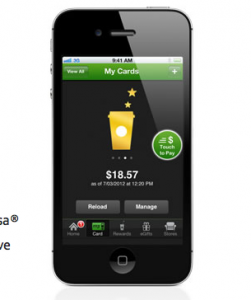 Get $5 when you reload your Starbucks Card on your phone with a Visa card. That’s right: Reload your Starbucks Card, on your Visa®(R) card and Starbucks app, for at least $20, and we’ll give you an extra $5. 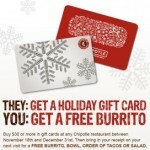 This deal ends August 24, 2012. Works for us! 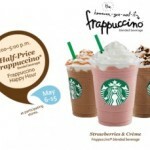 Details: To be eligible for the $5 offer, you must reload a registered Starbucks Card for a minimum of $20 using a valid Visa Card and your Starbucksmobile application by 11:59 p.m. PST on August 24, 2012. Only one $5 bonus load per Visa account is allowed. 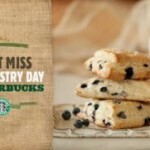 Bonus will be applied to the reloaded Starbucks Card during the week of August 27, 2012. Limited time offer. 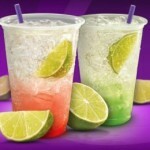 WANT TO KNOW ABOUT THE LATEST DEALS LIKE THIS ONE? Sign up for the Frugal Bon Vivant newsletter and we’ll email you the latest freebies and deals!